Several companies are wrapping up their sales events. Charles’ Creature Cabinet discount sale is ending on the 28th, Netherlands time. Nobility Doll‘s discount event ends March 31st . Crobi Doll ‘s Body Change Event, Angel of Dream ‘s free head event, and Alice In Labyrinth‘s free eyes event will end on the 31st as well. To see all currently running company events, go to the Company Sales and Event page HERE. Alice In Labyrinth has released the new version of the Alice head. The head was slightly re-designed to fit standard size wigs. In addition, a new version of Alice, a ‘Dreaming Alice’ is now also available. The resin at the eyelids is thinner to allow possible modding to a partly open eye. Both heads can be ordered in normal or white resin and are only available blank. The head can be used as either a girl or boy doll. Alice In Labyrinth is selling all remaining Alice heads in stock for 30% off. The head is being re-released next month with a change in the girth to better fit standard wig sizes. 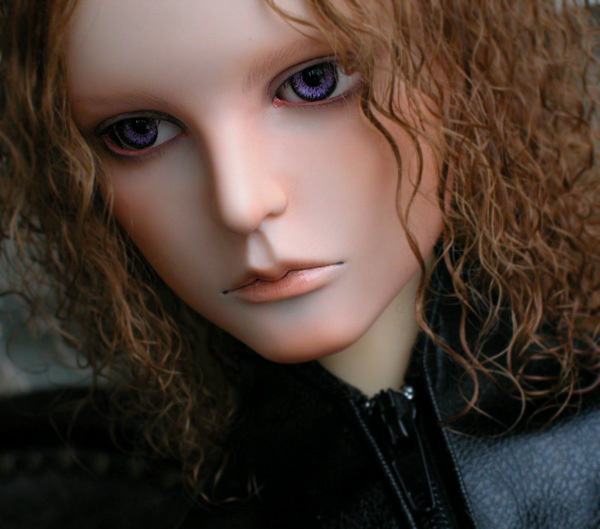 The Alice head is designed to fit a Volks body for a 60 cm. doll. The resin color is normal flesh. Alice In Labyrinth will sell 10 ‘Alice’ heads with face-ups. The order period is from December 2nd to 8th Japanese time. If more than 10 people place orders, the buyers will be decided by lottery. These are heads only and do not come with wigs or eyes. Alice in Labyrinth heads are made to fit Volks bodies. Alice in Labyrinth has posted a new doll head, the seventh on the site. His name is Glen and he will be available for order starting on the 15th of November. Alice in Labyrinth is a head-only site. The heads are compatible with Volks bodies. As a First Anniversary celebration, Alice in Labyrinth is having a special sale. From the 4th of October until the 31st, all Alice in Labyrinth doll heads are 20% off the listed price. Alice in Labyrinth will have a special event sale in early October to celebrate the 1st Anniversary of the company. Alice in Labyrinth is a Japanese maker of doll heads which are made to fit Volks bodies.